At the core of a widely varied crush of races, voters are being asked to either ratify or reject President Donald Trump and his agenda. The stakes of the 2018 midterm elections only grew as a tense nation approached Election Day. “This is about more than issues. This is about who we are as Americans,” former Vice President Joe Biden said recently on the campaign trail. It’s a sentiment Trump would likely embrace. The midterms are a nationwide referendum on Trump and his governance. They will be by far the most consequential marking point in the Trump presidency after a presidential election that rocked the nation. President Donald Trump speaks during a rally in Estero, Fla., Oct. 31, 2018. Trump has done what he can to place himself on the ballot -- sometimes literally saying that a vote for a candidate is a vote for him. But a referendum on Trump is likely to mean vastly different things in different parts of a bitterly divided nation. The president’s popularity with his base could keep and even strengthen the Republican Party in rural, blue-collar, and predominantly white swaths of the nation. The fierce opposition to Trump could buoy Democrats in diverse, suburban and more highly educated areas that have been trending toward their party anyway. That would amount to a socioeconomic and regional reordering of the nation’s politics. The divisions exploited by Trump appear likely to only deepen the splits between red and blue portions of the country. Among the dizzying array of potential outcomes is the very possible result of a split decision. It could mean a Democratic-controlled House yet Republican gains in the Senate -- with both outcomes largely because of the president. 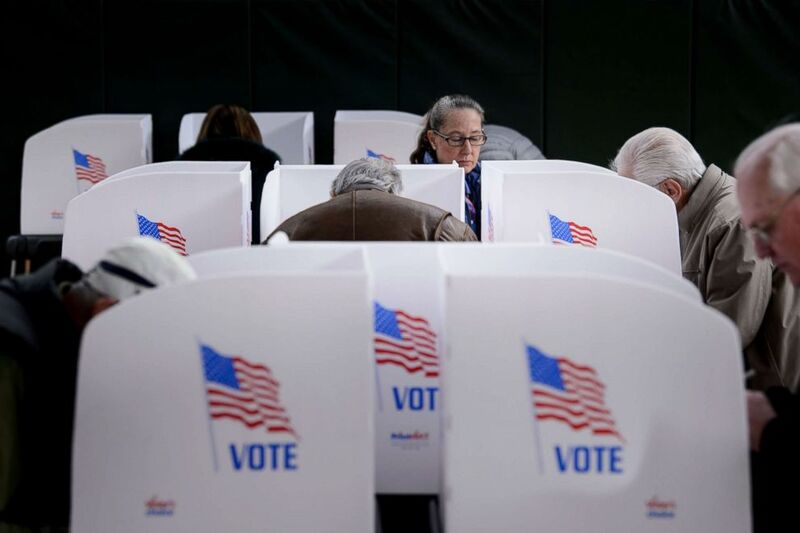 People cast their ballots at a community center during early voting Oct. 25, 2018 in Potomac, Md. That would most likely grind lawmaking to a halt in Washington, with subpoenas, investigations, and calls for impeachment replacing bills and laws as the main business of Congress for the next two years. Meanwhile, at the state level, Democratic governors and state legislatures could begin marching their governance leftward in advance of the 2020 elections. Races for Congress and state offices are turning on so many issues that they’re in danger of being defined by none of them. This year’s elections have been about health care, immigration, the Supreme Court, guns, treatment of women, voting rights, domestic terrorism, trade, jobs, taxes, foreign threats, climate change, corruption and even the possibility that malicious actors are trying to sway American electoral outcomes. But if the midterms are about everything, they’re really about one very big thing: Trump. Trump has scrambled politics and the norms that have governed it with a chaotic, freewheeling, and hard-right governing style. He has divided where his predecessors have sought to unite, and put himself in the middle of territories where previous presidents have tread lightly. 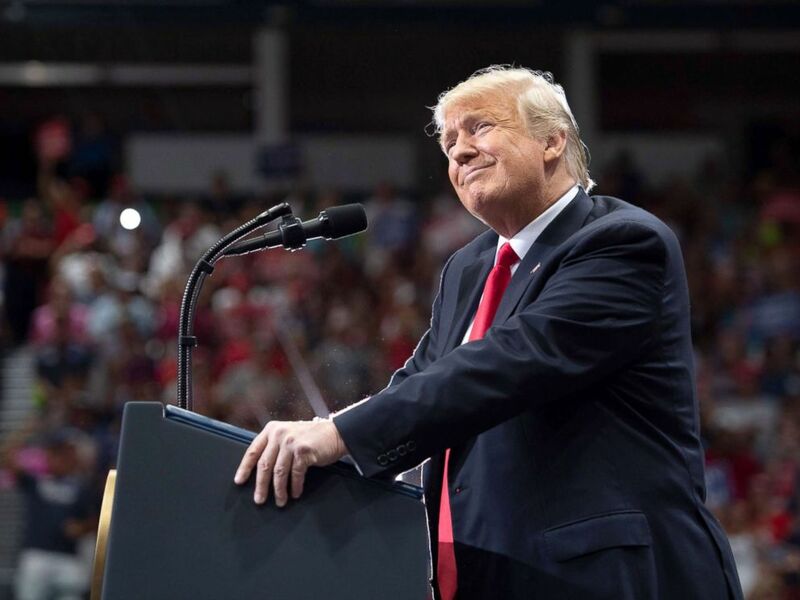 The president’s closing message -- warning of threats of an “invasion” of migrants, mobilizing troops to the border, and musing about changing laws regarding citizenship -- fits with the divisive themes and fact-challenged assertions that have defined his time in office. Yet it almost goes without saying that Trump wouldn’t view even a Republican wipeout as a cause for introspection or a change in direction. 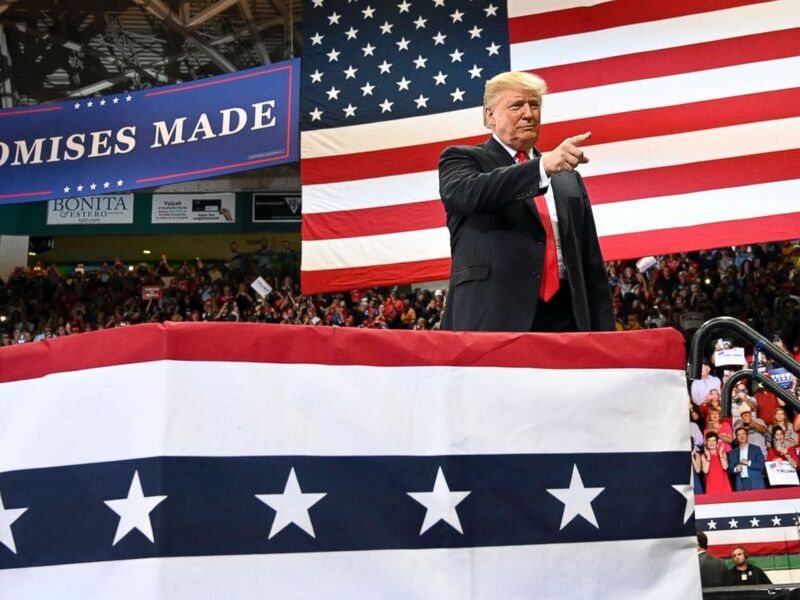 President Donald Trump speaks during a campaign rally in Estero, Florida, Oct. 31, 2018. And, if he sees -- as seems likely -- Republican bright spots, after a campaign where his party has mostly lined up behind him, he will surely claim credit and use the results to amplify his message. Former New Jersey Gov. Chris Christie, a close ally of the president who has been campaigning for GOP candidates, said that the range of hot-button themes means any broad takeaways from the midterms will be limited. The midterms won’t mark the end of any discussions or debates. Voting will bring conclusions to the political season, but few finalities. It's safe to brace for an election that gives virtually everyone something to love -- along with much to hate.